The entire U.S. Code in your hand. 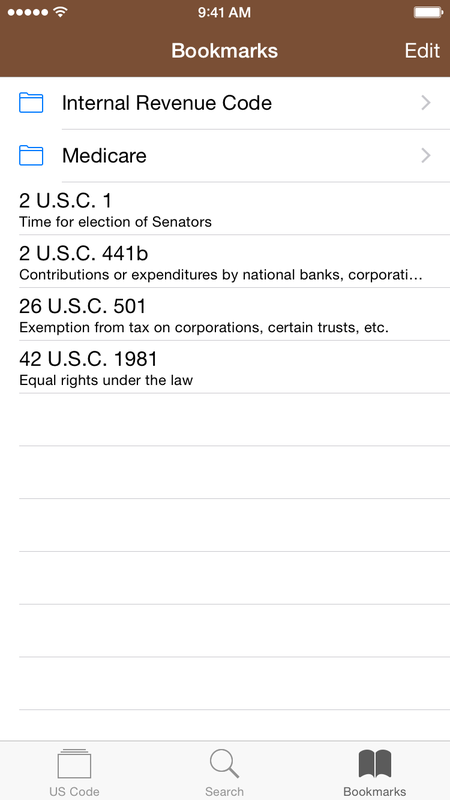 Codification is an app for searching and viewing the United States Code. It comes with all the 52 titles, editorial notes, cross-reference links, and many useful features that make it a must-have for anyone interested in law. 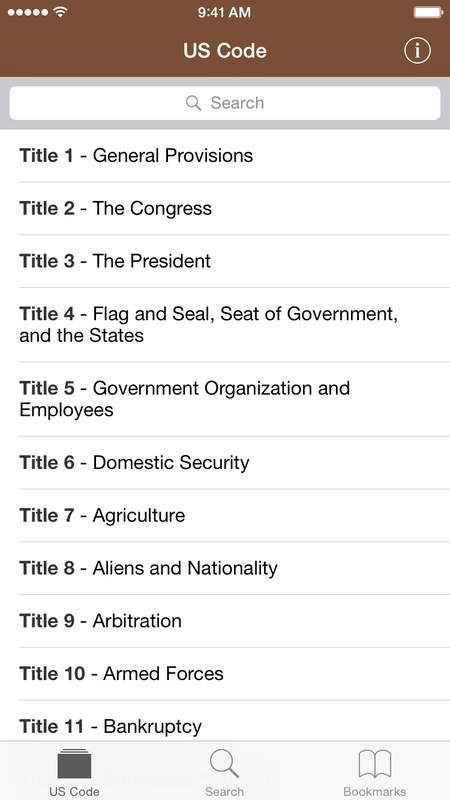 Access all the 52 titles of the United States Code without using the internet. The Code is organized into titles, chapters, and sections. 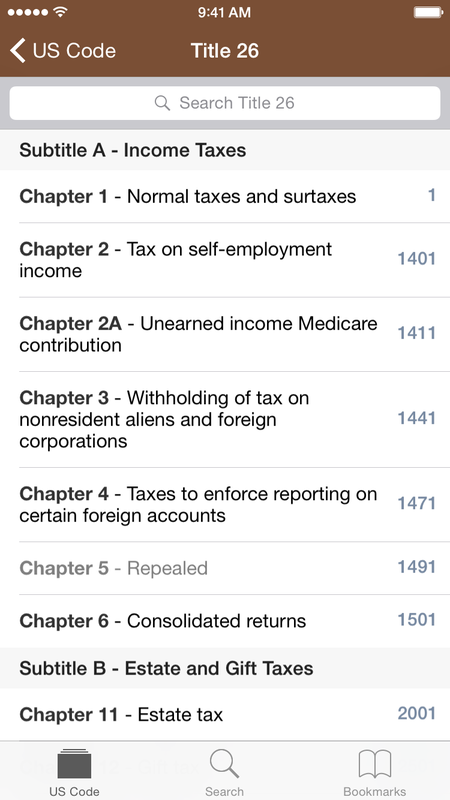 Each chapter shows its first section number. 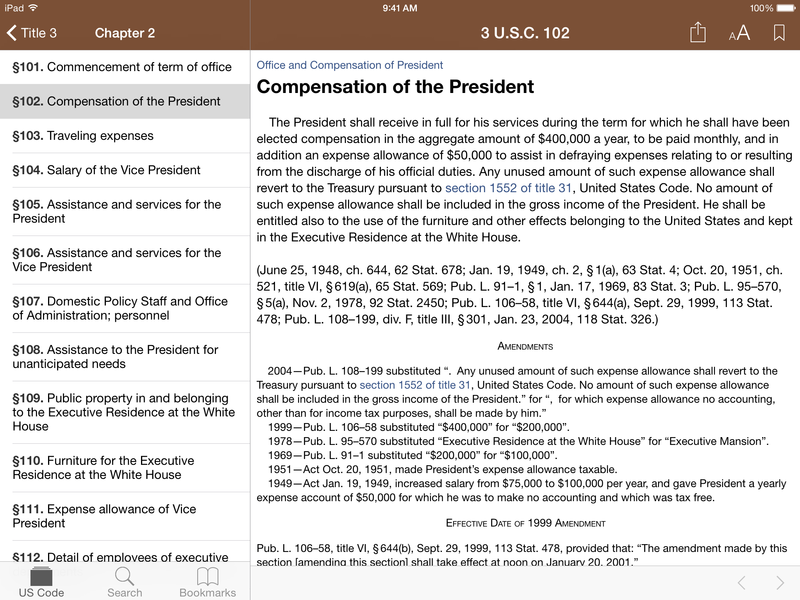 Read sections with editorial notes such as historical and revision notes and references. Blazingly fast search. The results show up as you type. 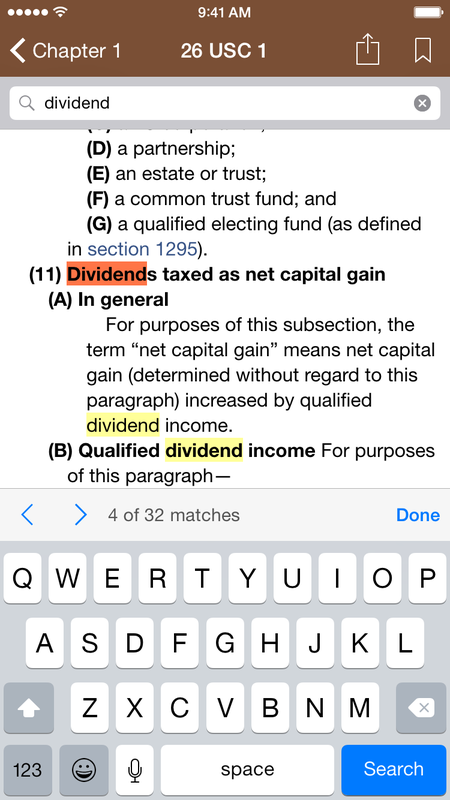 Search terms are highlighted. 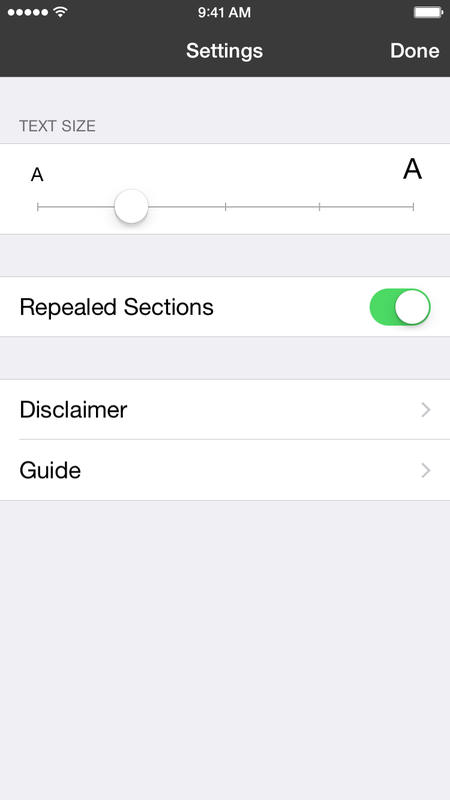 Find any text in the current section. 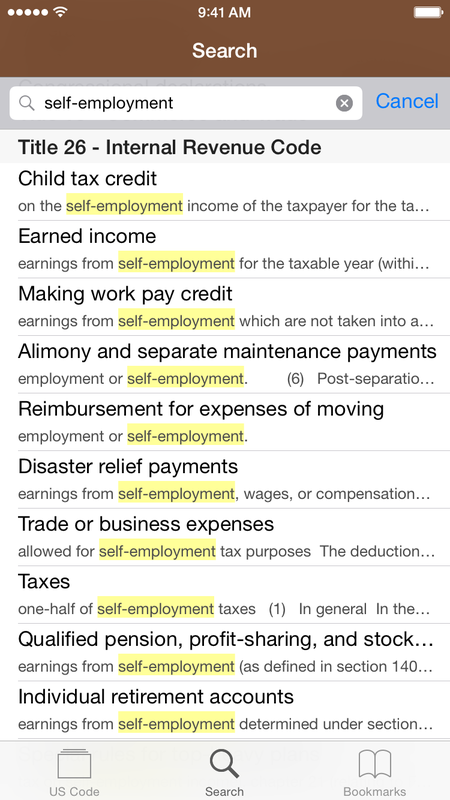 Search terms are highlighted. Bookmark your favorite sections. Organize them into folders. Adjust the font size as you like. Share your favorite sections via email. Buy it once, run on all your iOS devices, whether it's an iPhone, iPod touch, or iPad. 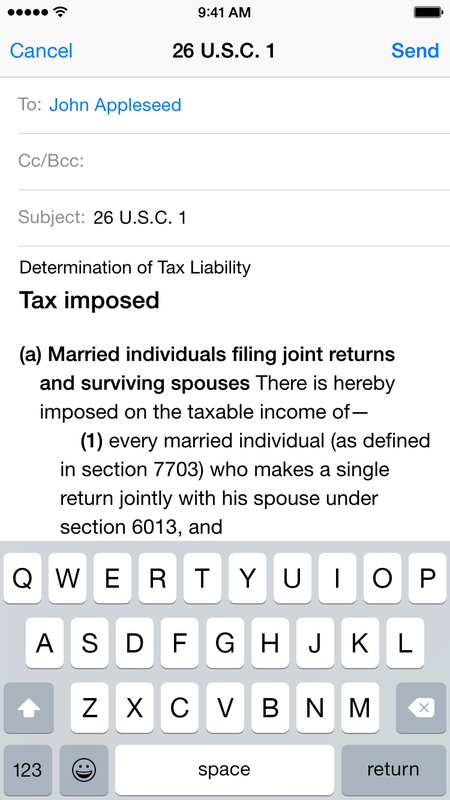 Print via AirPrint, quick jump to any section, landscape mode on iPhone, and so on. Get Codification in the App Store now. 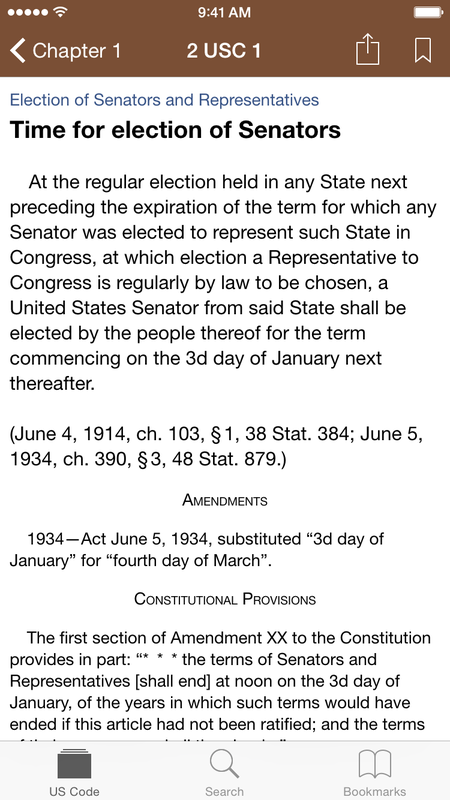 The United States Code is the official codification of the general and permanent laws of the United States, published by the Office of the Law Revision Counsel of the House of Representatives. DISCLAIMER: This app is for informational purposes only and does not provide any legal advice. We are not responsible for any inaccurate information or for your use of the information in this app. The data in this app was obtained from the website of the House of Representatives in August 2014. Please always confirm that the information in this app is correct and up-to-date. Copyright © 2015 Sukolsak Sakshuwong. All rights reserved.